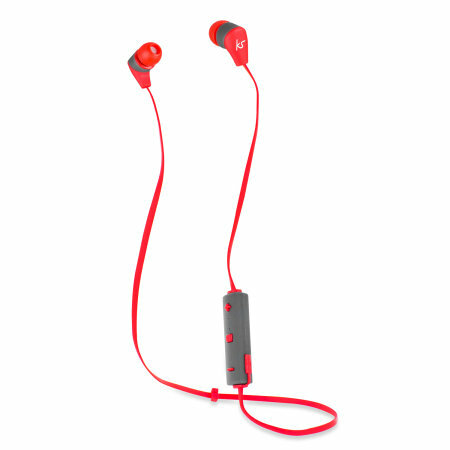 Combining stylish metal casings, a comfortable fit with dynamic sound, in-line controls with mic for music, calls and wireless bluetooth support, the Kitsound Earphones in red are perfect for music lovers on the go. This product is slim and portable. Great headphones for the price. Easy to setup and use. Whether you're running on the treadmill, jogging around the block or simply relaxing at home, a messy, tangled headphone cable is nobody's idea of a good time. 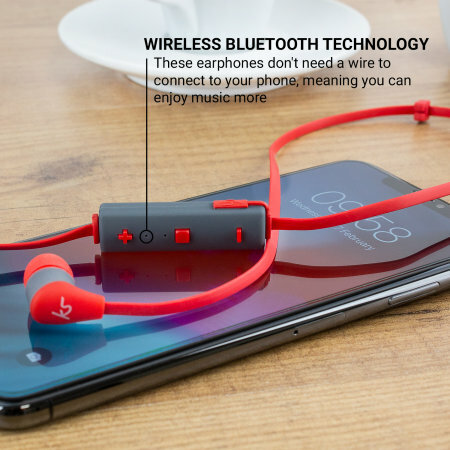 These earphones don't need a wire to connect to your phone, meaning you can enjoy music, podcasts, phone calls and more without a trailing cable to your device. No more annoying disconnecting either. Pairing is super easy and you'll be off enjoying a more convenient listening experience in no time. 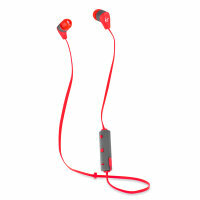 The Kitsound Wireless earphones feature crystal clear treble, punchy mids, and solid bass. If you enjoy music, you'll enjoy the sound on offer here. 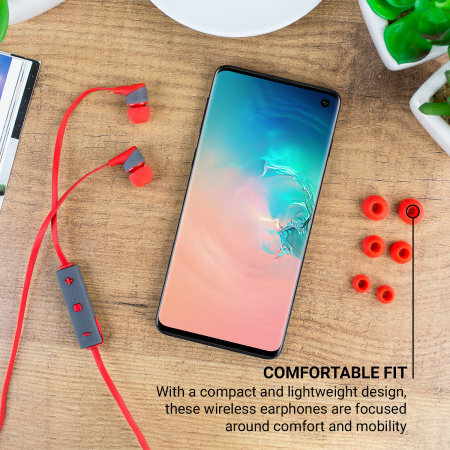 With a compact and lightweight design, these wireless earphones are focused around comfort and mobility. What's the point in having such a generous amount of playback time if you want to take them off after a few minutes? 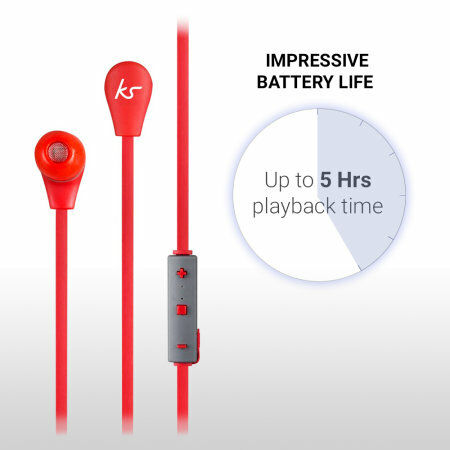 The Kitsound Wireless earphones have been designed to include in-line playback functions, which allow you to play/pause your favourite tracks, advance tracks as well as adjusting the volume for greater control of your music experience. 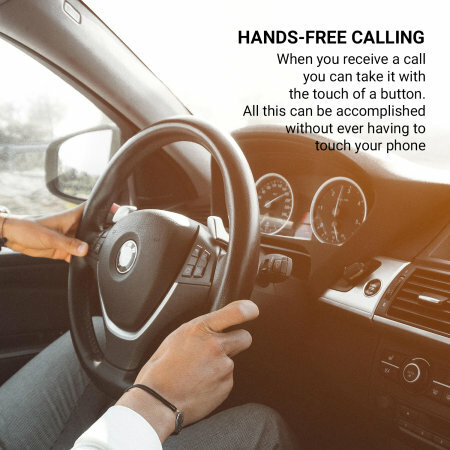 When you receive a call you can take it with the touch of a button. All this can be accomplished without ever having to touch your phone. 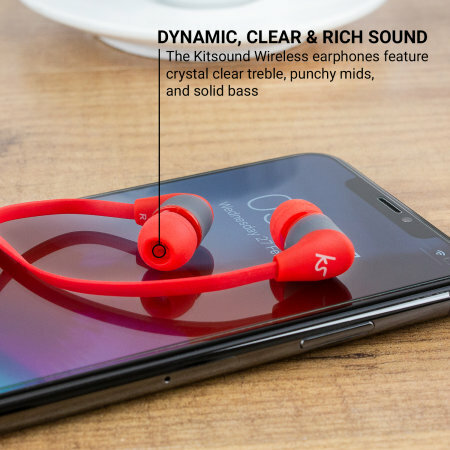 Packed with impressively large battery life for such a small pair of earphones, they allow for up to 5 hours of playback time, so you can keep enjoying the music you love for even longer. 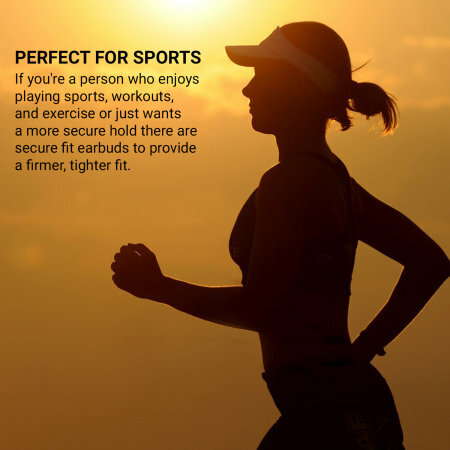 When the earphones do run out of power, simply connect them to a powered USB port (such as a laptop / PC or mains charger) and they'll be ready for your most punishing workouts in a couple of hours.